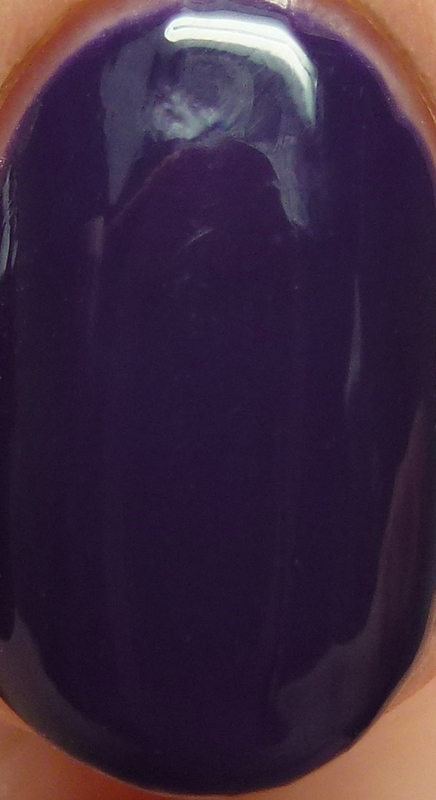 Angelic Astra is a blue-magenta violet creme with a delightful, shiny formula. 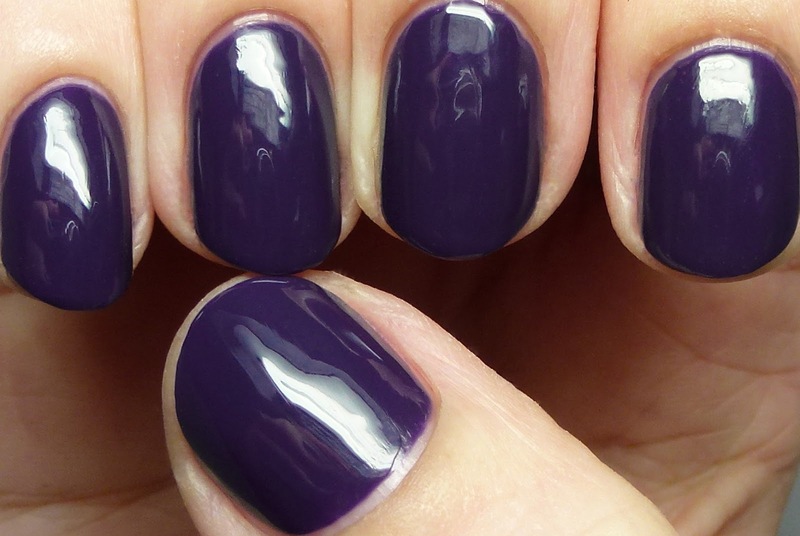 I wore it in three very thin coats but it is opaque in two. 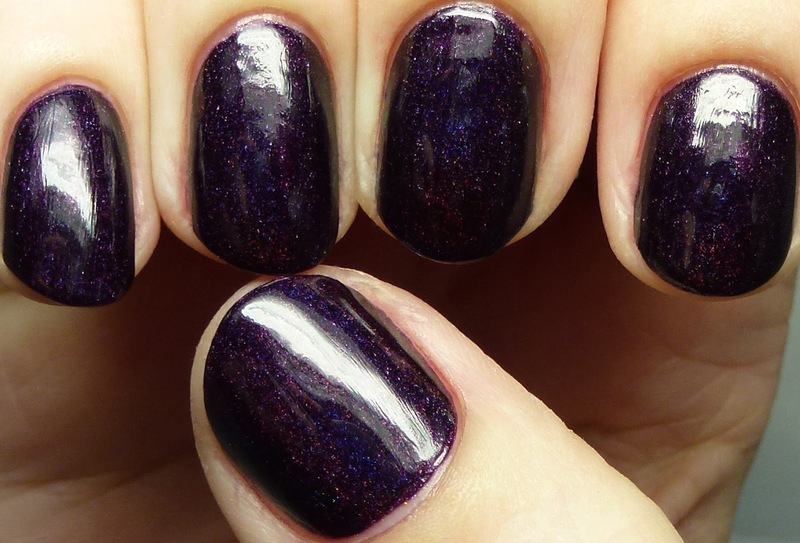 This dries so shiny that you really don't need top coat. I've been buying Celestial Cosmetics for quite a while now and this reminds me why I never skip her cremes! Betelgeuse has something I've never seen before! 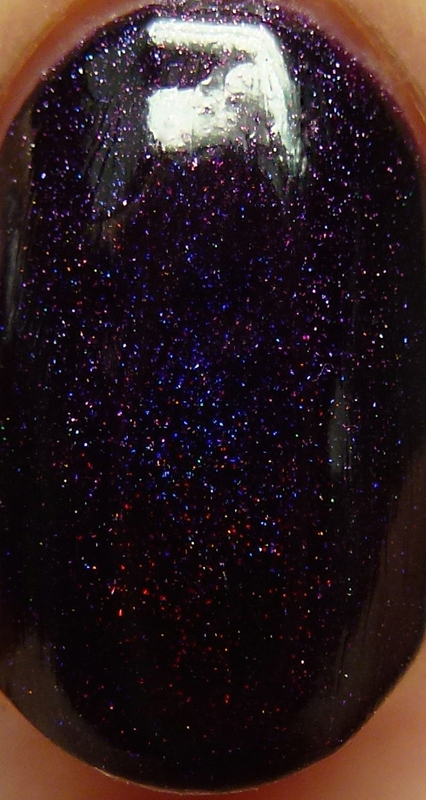 Ultra-tiny duochrome microglitter! The ones here shift from gold to indigo. 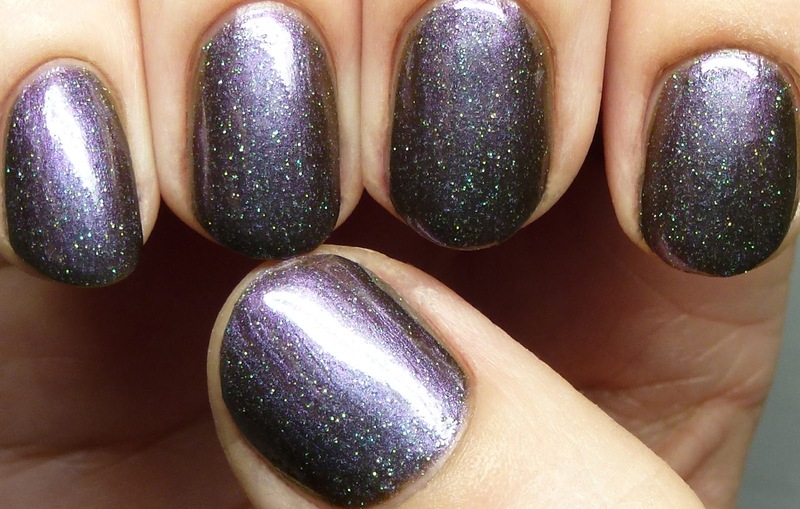 This polish also has magenta-to-gold multichrome shimmer in an army green jelly base. I wore it in four very thin coats and there were no issues at all. Quick-drying, excellent formula. Blood Moon Rising. Where do I begin? 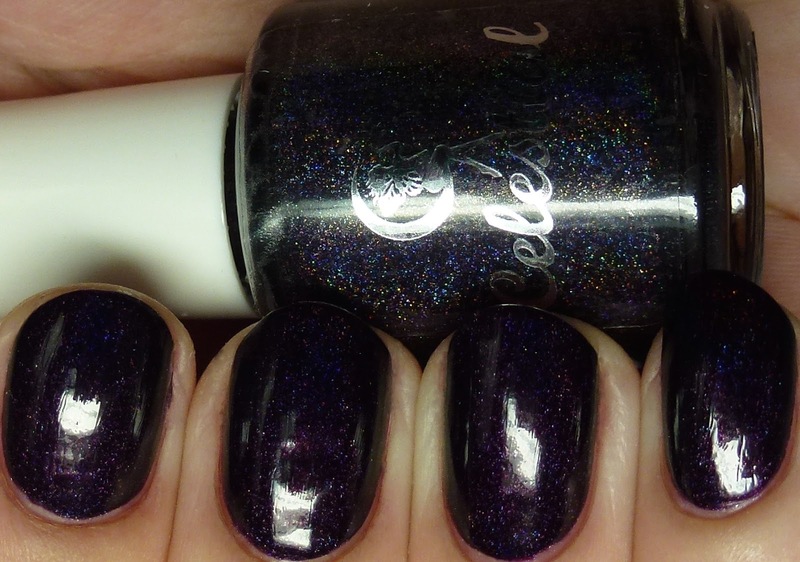 First, as I wore this, I thought that this is a polish that goes in a special category; ones that I could happily wear for the rest of my life and never miss other colors. For real. What do I like about it? 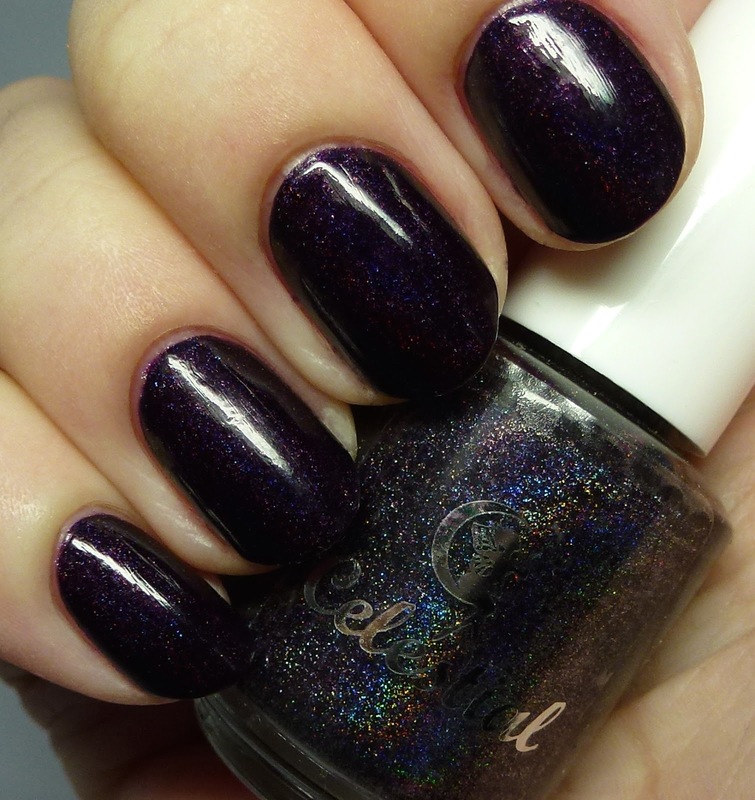 It's got a perfect formula, it's a beautiful vampy black plum, it has just enough holo to have depth but not be too flashy, plus it covers in one to two thin coats. Wow! 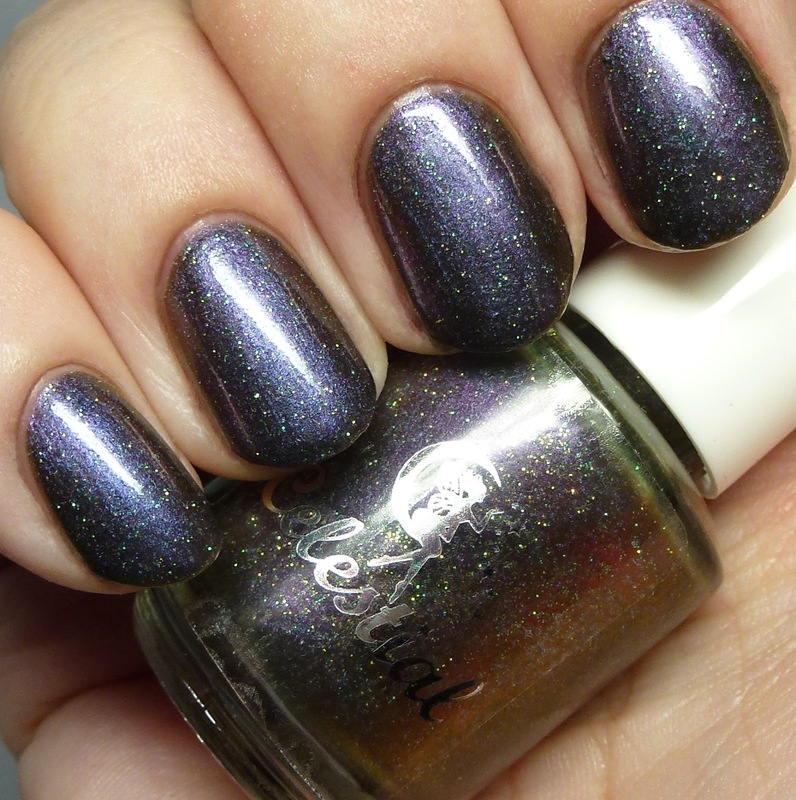 The top coat I wore with this ate some of the holo, but it is definitely shiny and quick-drying enough to wear it with no top coat at all. Just stunning! Thanks so much for creating this beauty, Nicki! 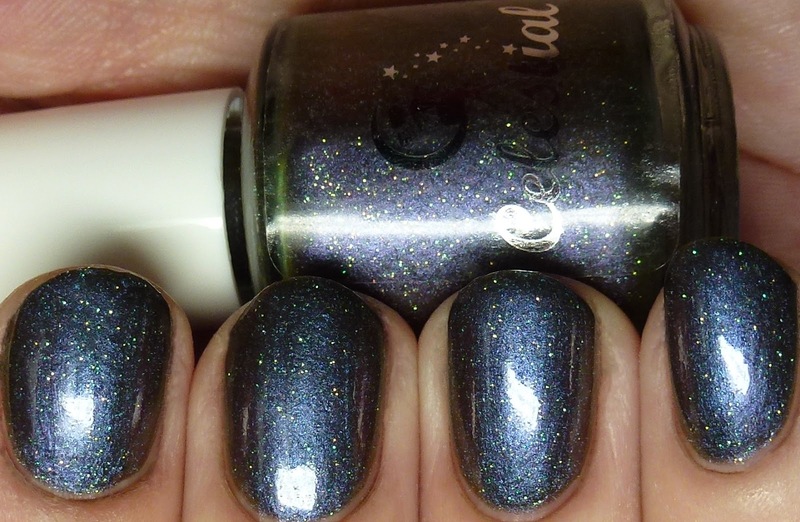 Overall, three fantastic shades that I can heartily recommend! 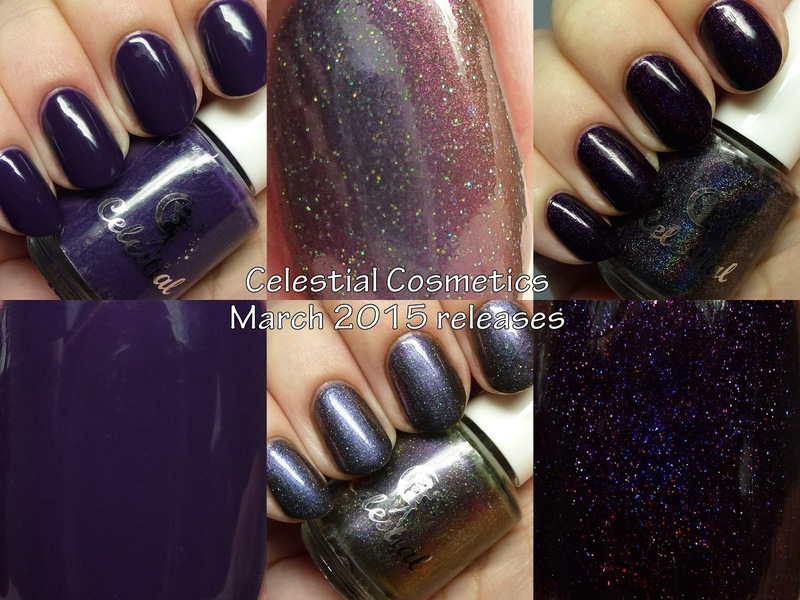 These will release March 1; see also posts 2 and 3 about the March releases from Celestial Cosmetics.